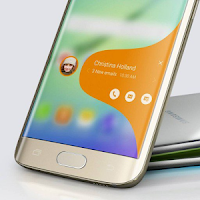 People Edge is the best new feature of S6 and S7 edge. Now , it is available for note 5, S6 , S7 and all Samsung devices . People Edge S7 help you access your favorite contacts from anywhere at any time . You can make calls and send messages quickly by one slide . No need to go to the Contacts application and search for people , everything is ready for use.